Why would you want to use low power and a weak signal for your ham radio instead of high power and a strong signal? Skill. Putting as little as possible between yourself and the station at the other end and still making the contact takes skill. Build up a little experience and then give QRP a try. QRP is up to 5 watts of transmitter output power on Morse code or digital transmissions and 10 watts of peak power on voice, usually SSB. The quality of your antenna or location isn’t considered, just transmitter power. If you choose to turn the power down below 1 watt, you’re milliwatting. QRP is primarily an HF activity, and most QRP contacts are in Morse code due to the efficiency and simplicity of that mode. QRPers often hang out around their calling frequencies. To start QRPing, just tune to a clear frequency nearby and call CQ. You don’t need to call CQ QRP unless you specifically want to contact other QRPers. If you’re just getting started, tune in a strong signal, and give that station a call with your transmitter output power turned down to QRP levels. (Check your radio operating manual for instructions.) Make sure that your transmissions are clear, which allows the other station to copy your call sign easily. Some low-power stations send their call with /QRP tacked onto the end to indicate that they’re running low power. This procedure isn’t necessary and can be confusing if your signal is weak. After all, that’s more characters for the other station to copy, isn’t it? Building your own QRP gear: Many QRPers delight in building their own equipment — the smaller and lighter, the better. 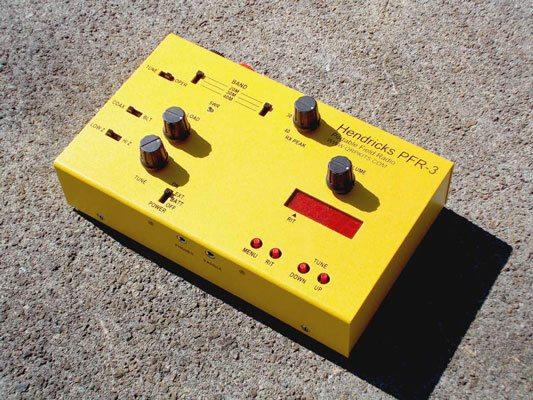 You can find lots of kits, such as the popular backpackable PFR-3 transceiver from Hendricks QRP Kits and homebrew designs for hams who have good construction skills. QRPers probably build more equipment than those in any other segment of the hobby, so if you want to find out about radio electronics, you might consider joining a QRP club (discussed later in this list) and one of the QRP e-mail mailing lists. Entering QRP contests: You’ll find some QRP-only contests, and nearly all the major contests have QRP categories. Many awards have a special endorsement for one-way and two-way QRP. The QRP clubs themselves have their own awards, including the 1,000 Miles Per Watt award. Some stations make contact with so little power that their contacts equate to millions of miles per watt! Joining QRP organizations: QRPers are enthusiastic and helpful types, always ready to act as QRP Elmers. Their clubs and magazines are full of “can-do” ham spirit. Look for special gatherings of QRP enthusiasts at conventions, such as the internationally attended Four Days in May, which coincides with the Dayton Hamvention. Other QRP gatherings occur around the United States throughout the year.